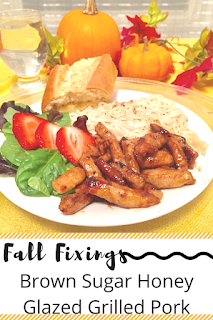 As the seasons settle into all of the cozy feels of Fall, we tend to gravitate toward the sense of contentment gained from indulging in comfort foods. 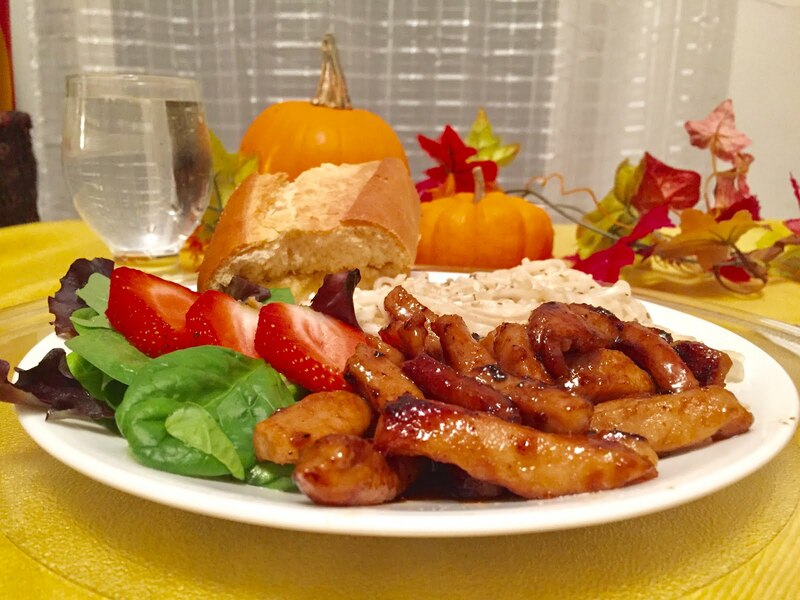 Traditionally, as the color palate of nature introduces Autumn's tones and tastes, variations of traditional turkey recipes come to mind. 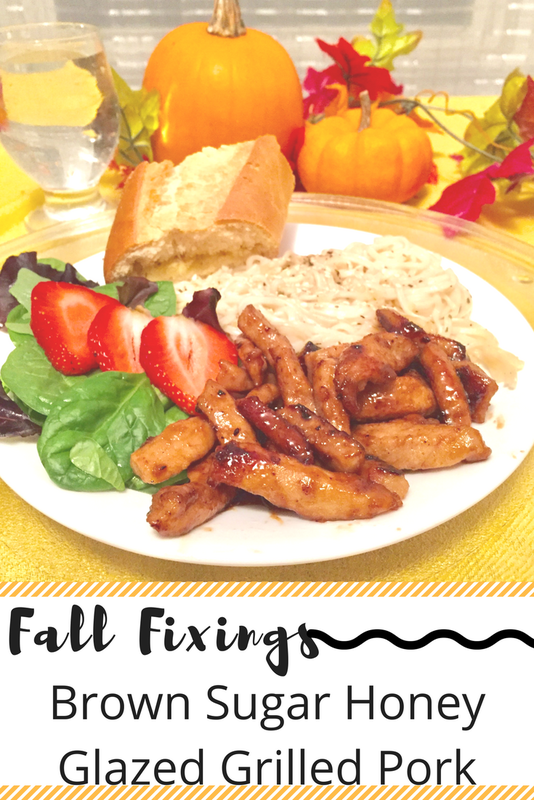 Adding new flavor to our family's feasting, we delighted in a healthy, nutritious family dinner featuring Fall fixings, Brown Sugar Honey Glazed Grilled Pork Loin for a sweet change of pace to the Taste of Now. Pork is not only versatile, flavorful, and affordable, it also provides a delicious source of protein, vitamins, and minerals. The key is to adding pork to a healthy diet is selecting lean cuts of meat. 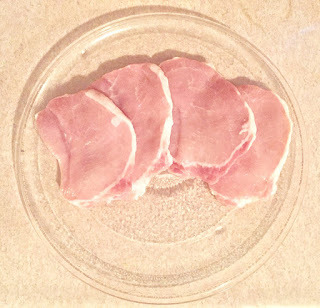 Professional culinary masters and at-home chefs know to find lean cuts of pork with the word “loin” in the name, such as pork tenderloin and pork chops as lean choice options. Low in sodium, pork is a source of thiamin, selenium, protein, niacin, vitamin B6 and phosphorus, riboflavin, zinc and potassium. Heat Olive Oil in pan on medium heat. Combine Garlic Powder, Onion Powder, Sea Salt, and Black Pepper. Coat each side of pork loin completely with spices. 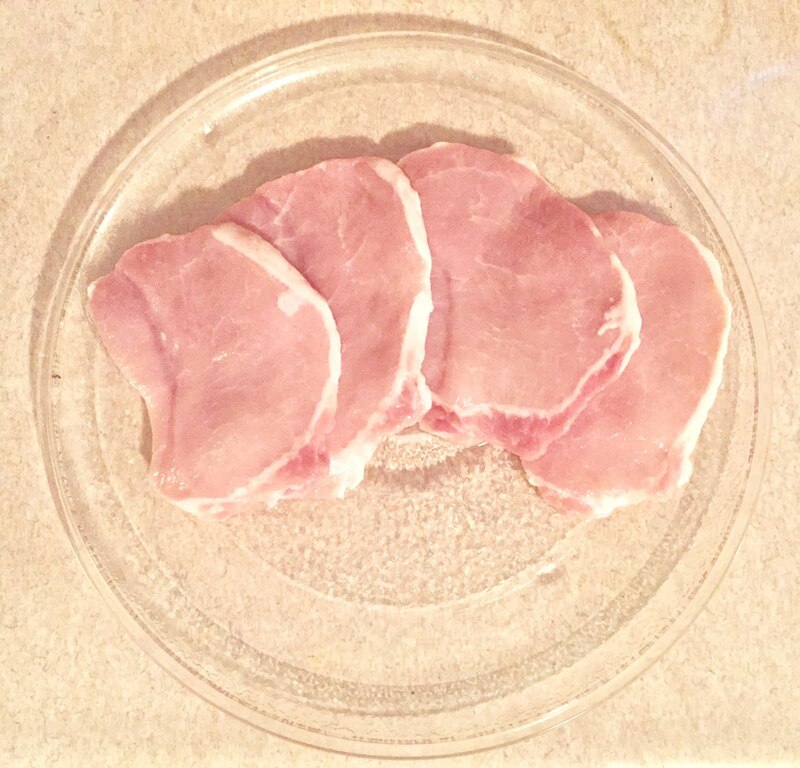 Saute pork loin cuts 4-5 minutes per side until lightly browned and internal temperature reaches between 145°F (medium-rare) and 160°F (medium), on a meat thermometer. 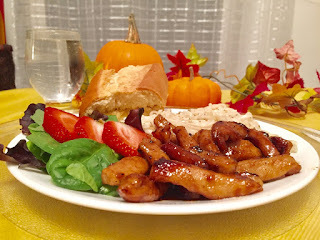 Sprinkle Brown Sugar with drizzled Honey over grilled pork loin stirring gently to coat in glaze. Remove from heat and permeate for 3 minutes. - ​Animal​ ​Well-Being- ​They​ ​affirm ​their​ ​obligation​ ​to protect​ and​ ​promote​ ​animal ​well-being. - ​Environment- They​ ​affirm​ ​their​ ​obligation​ to​ ​safeguard natural​ ​resources​ ​in​ ​all​ ​of ​our practices. - ​Public​ ​Health- They​ ​affirm​ ​their​ ​obligation ​to ​ensure​ ​their​ ​practices​ ​protect​ ​public​ ​health. -​ Employee​ ​ ​Care- They​ ​affirm​ ​their​ ​obligation​ ​to ​ provide​ ​a​ ​work​ ​​environment​ that​ ​is​ ​safe​ ​and consistent ​with​ ​their​ ​other ethical​ ​principles. -​ ​The​ ​Communities​ ​in ​Which​ ​They​ Operate-​ They​ ​ affirm​ ​their​ ​obligation​ ​to​ ​​contribute ​to​ ​a​ ​better quality​ ​of ​life in​ ​our​ ​communities. Discover plenty of pork recipes and nutritional facts for more of the Taste of Now.